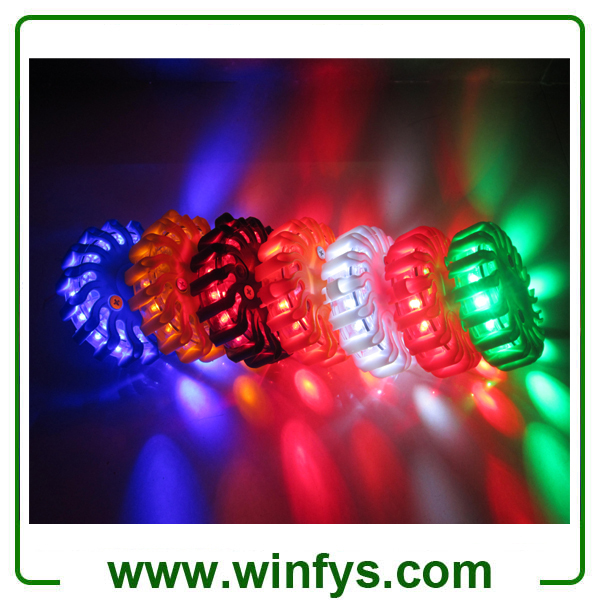 Led Traffic Flares is an essential piece of equipment for police, firefighters, EMTs, rescue services, first responders, members of emergency response teams and the general public. 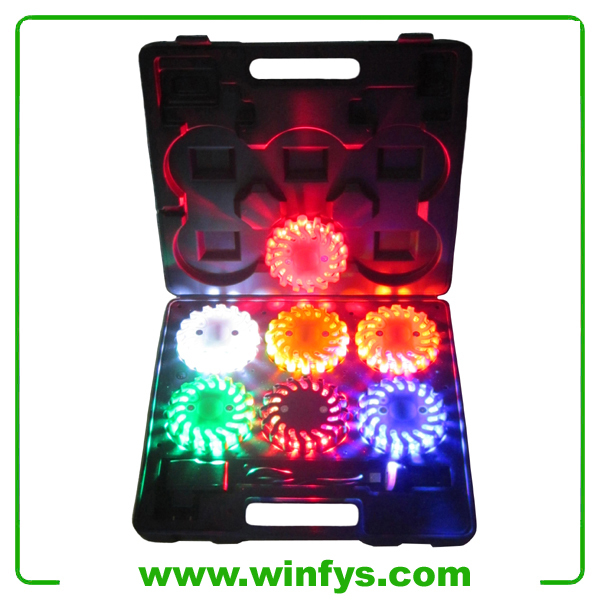 The LED Traffic Flares has 9 different flashing patterns, with the 16 bright LEDs capable of being seen up to 1/2 mile. 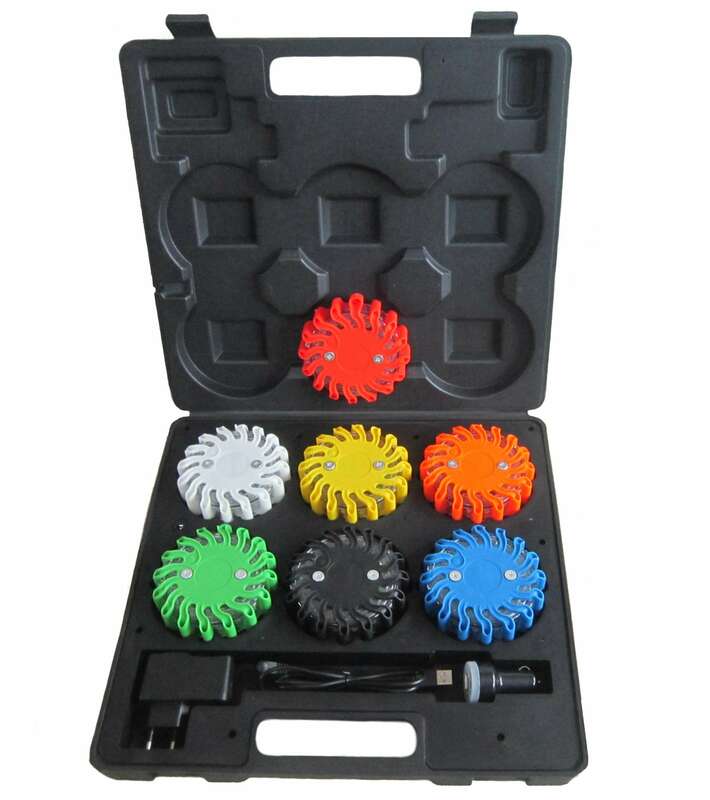 Choose from rotate, single blink, alternating blinks, quad flash, high steady light, low steady light, 2 LED flashlight, 4 LED flashlight, and S.O.S. Rescue Morse Code. Now that's a safety flare that means business. 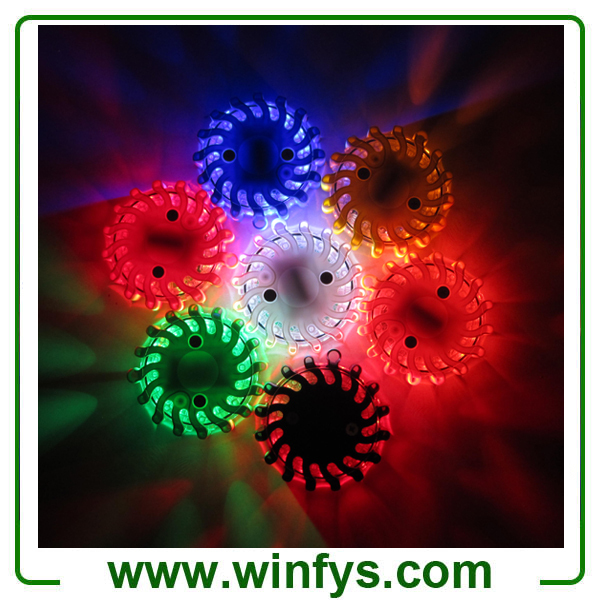 This rechargeable LED Traffic flares offers so many great benefits. 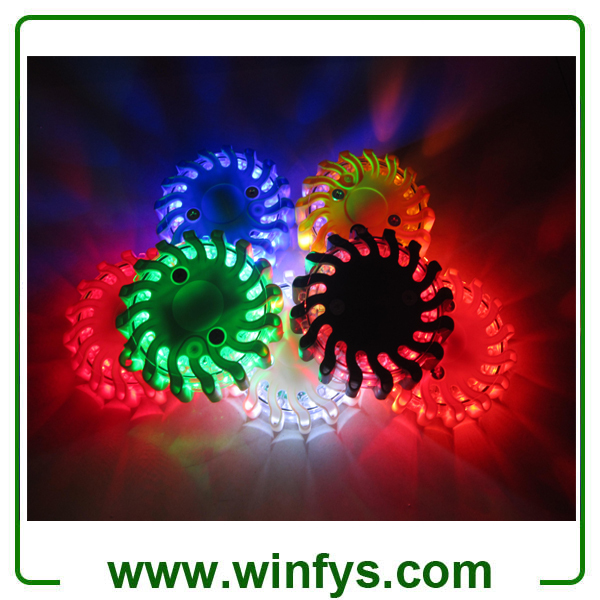 Compared to other power flares, the LED Traffic Flares excels in long-lasting durability. 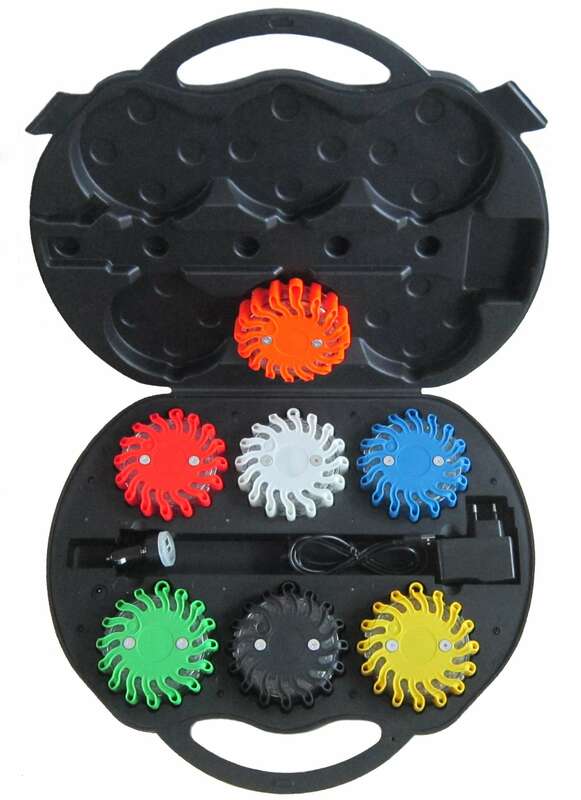 We're talking a crush-proof and corrosion-proof polycarbonate plastic exterior and impact resistant rubber housing. What's more, this LED red safety light offers low maintenance with an internal lithium battery that's rechargeable so there are no costly batteries or replacement concerns. As a traffic flare to slow down traffic or signal the need for traffic safety. 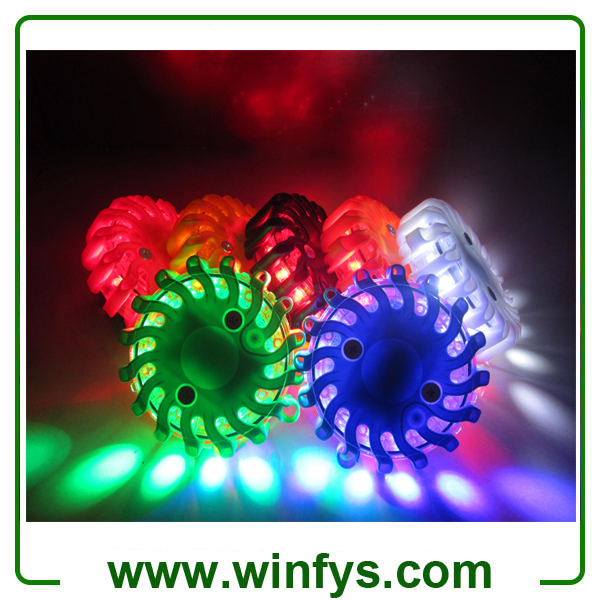 An LED light makes a better road hazard marker than the flammable flares which are being banned by many states. 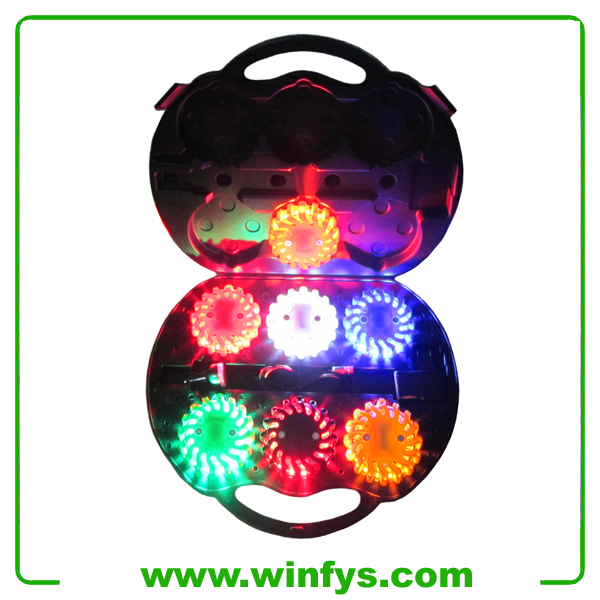 These waterproof LED Traffic Flares floats, making them suitable for a myriad of marine uses, including boater emergency safety. Place and anchor on top of the water to designate a work zone or prohibited area. As an underwater flashlight. 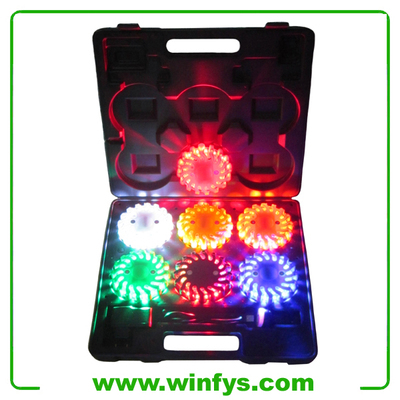 The LED Traffic Flares has nine different signal types, two of which serve as a LED flashlight. 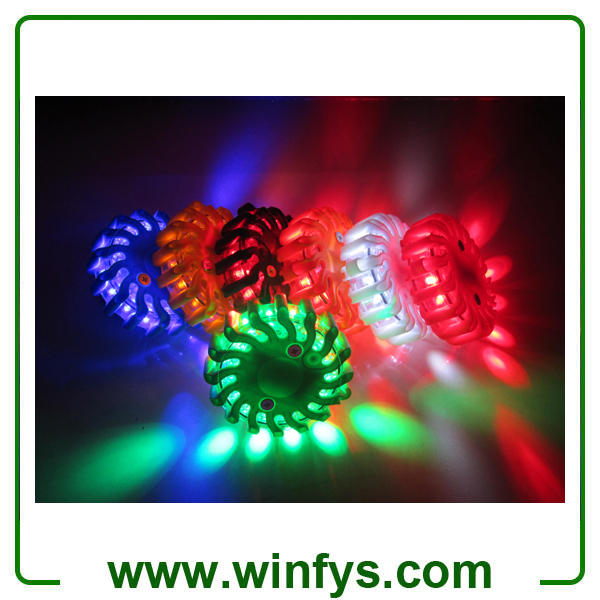 This LED Traffic Flares also complies with traffic and safety codes. For example, it meets the U.S. Department of Transportation, the Manual on Uniform Traffic Control Devices (MUTCD) and the National Fire Protection Association (NFPA) standards for traffic safety. 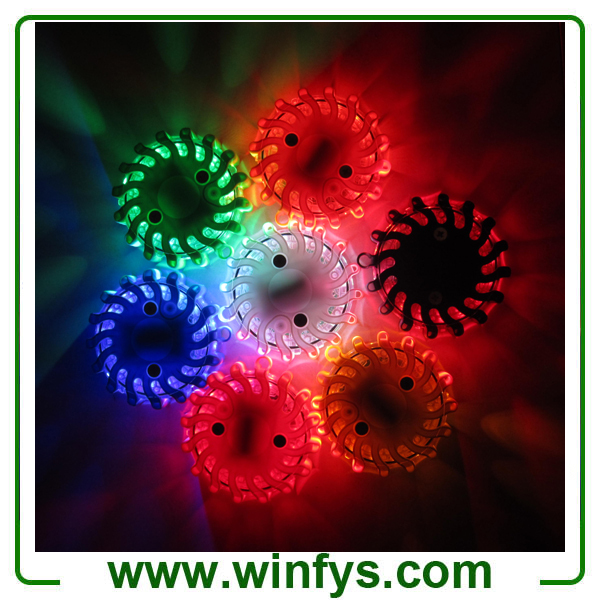 And because no smoke vapors, ash, flames, or other harmful byproducts are created when in use, the LED TRAFFIC FLARES also meets tough state emission regulations, including California's VOC emission guidelines.